Good and convenient service at terminal 5. Would use again. 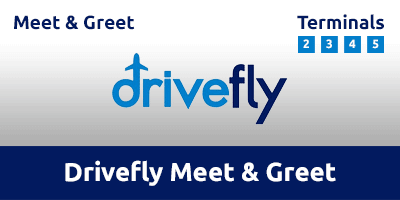 Drivefly Meet & Greet offers a smooth and speedy parking experience for all passengers leaving from Heathrow. The drive-in and drop-off service is perfect if you're short on time, dragging heavy bags or simply want to swerve the stress of airport transfers. No need to worry about transfers, you're just a short stroll from the check-in desks. This service is perfect for those who require extra assistance. Your car will be ready and waiting at the designated meeting point.